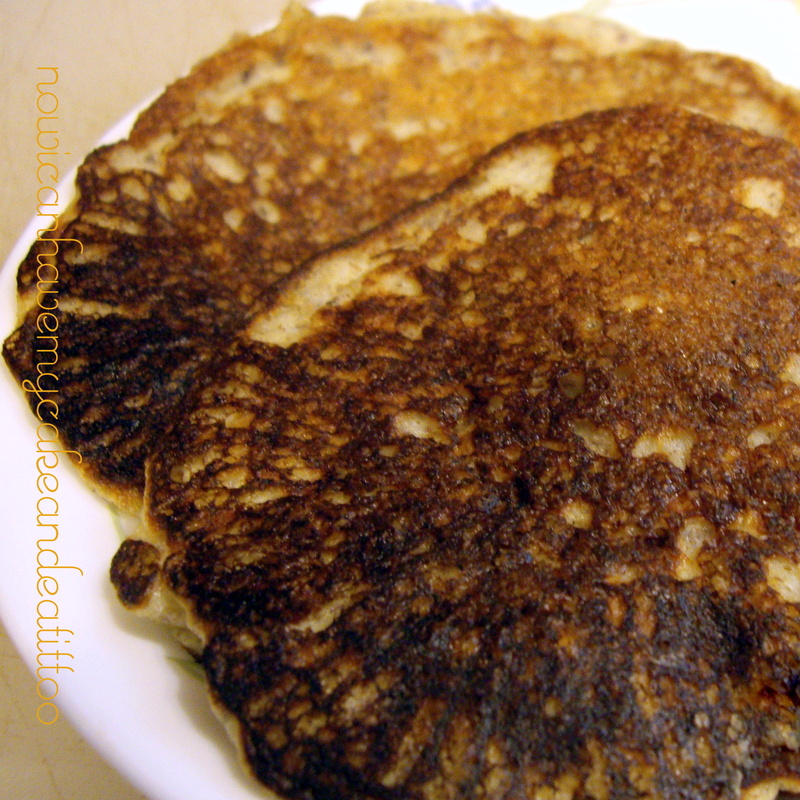 gluten-free pancakes – Now I Can Have My Cake And Eat It, Too! I know…I already shared a recipe for pancakes with you. Why do I need to share another? Because these are S pancakes!! The recipe I shared before were E pancakes. Why does this matter? If you aren’t a THM (Trim Healthy Mama), it probably doesn’t, but if you are…I’m so glad you asked! This matters because the E pancakes must be eaten with little to no fat and sugar-free syrup. The S pancakes? You can put peanut butter on them with your sugar-free syrup! That’s right, PEANUT BUTTER!! YUM! Just look at them…beautiful, right?!? Put all ingredients, except almond milk in the pitcher of your blender. Pulse to get blender started. Blend until smooth, scraping sides of your pitcher as needed. Add almond milk as needed until your pancake batter is the right consistency (should be somewhat thick, but pourable). Melt extra coconut oil on heated griddle. Pour pancake batter onto heated griddle spacing 2-3 inches apart. When pancakes are set on top and browned on the bottom, flip and brown on the other side. Serve with butter, peanut butter and/or sugar-free syrup of choice. This recipe makes about 9 medium size pancakes. 3 is a serving, so this will serve about 3 people or 1 person three times. A reminder for my THM friends, These are S Pancakes, so feel free to fry these in oil, put butter and/or peanut butter on them with your sugar-free syrup. I will be sharing a recipe for sugar-free blueberry syrup next…you’re gonna love that on these S Pancakes! You can use it on the E pancakes, too! Let’s face it, one the reasons we all detest diets is because we want to be able to enjoy our dessert. Well, what if I told you that you can enjoy your dessert AND lose weight? Yup, you heard me correctly. Eat your dessert AND lose weight. The THM way! 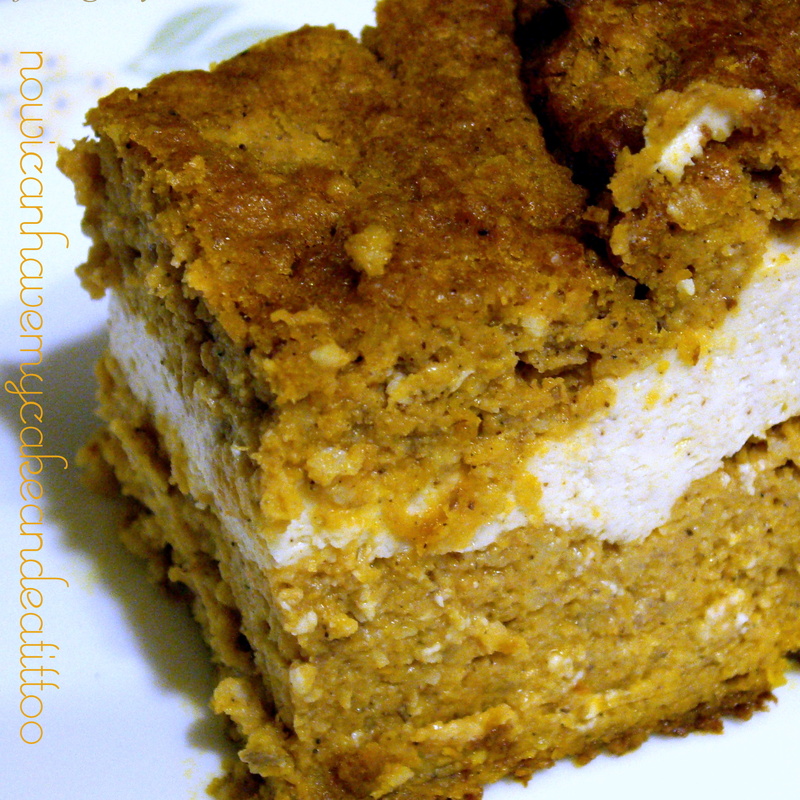 Take this pumpkin cream cake for example. I took a few different recipes I found and squished them all into one and came up with this delicious little cake. You could probably make muffins out of it too, if you wanted. Did you know pumpkin is a super-food?? It is! It’s so good for you! I hope y’all like this recipe as much as I do! It’s gonna be a great breakfast tomorrow morning with coffee!! Preheat oven to 350° F. and prepare a 9″x5″ loaf pan by spraying it with non-stick cooking spray. Mix everything for cake (all ingredients up to, but not including cream cheese) together in a medium size bowl til combined well. In a separate bowl mix everything else til smooth. Scoop half of the cake mixture into prepared pan and smooth out. Next, pour the cream cheese mixture into the pan on top of the cream cheese mixture. Scoop the rest of the cake mixture over the cream cheese and smooth out. Place on middle wrack of oven and bake for 45-60 minutes or until a nice golden brown and the middle is set. Allow to cool at least 20 minutes before cutting. Notes: This recipe is a delightful S for all my THM friends. I prefer eating this after it has been refrigerated. Just a personal preference. I think it sweetens more after refrigeration.